Since we’ve been doing a Garden Unit this week (hoping to get it planted yet today) as part of our Spring Theme, I thought I’d share some books about gardens with you. The Butterfly Garden , by Else Holmelund Minarik: Jenny loves watching Little Bear on Nick Jr., so this book was a great grab at the library! Spring Is Here! (A Story About Seeds) , but Joan Holub: An easy-reader about how seeds grow is a perfect book for our garden unit. 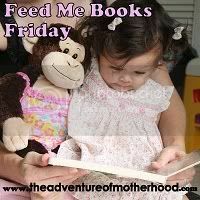 This post is being linked to Feed Me Books Friday at The Adventure of Motherhood.